About fourteen years ago, my dad took me to see a stage production of The Hobbit. I enjoyed it so much that we went out the very next day to buy the book. I distinctly remember browsing through all of the different copies trying to decide which one to get. Eventually I went with the most expensive copy. The front cover and beautiful illustrations throughout the story were too special to say no to! I have never regretted my choice and my book is only a little battered, but still just as bright and bold as when I first read it. That night, I delved into Middle Earth and never looked back! I have read The Hobbit a number of times since and loved it just as much every time. It’s been a few years since I’ve read Bilbo’s tale though, and recently, in a bit of a book slump, I suddenly felt an urge to pick it up again. The Hobbit is the perfect bedtime story, narrated by the perfect storyteller. Tolkien speaks directly to the reader, explaining things that they might not understand (like, what exactly is a hobbit?). He guides you through Bilbo’s adventures with humour and reassurance, making the reader feel both excited and comfortable at the same time. There are some tense moments (the chapter ‘Out of the Frying Pan into the Fire’ comes to mind!) but you always feel quite confident that Bilbo will make it through. After all, if Gandalf can see something in him, then there must be more to the hobbit than meets the eye! The story itself is delightful and just as Bilbo Baggins, the seemingly stuffy protagonist, gets swept up into an adventure, so does the reader. One moment he is enjoying a quiet life in his comfy hobbit-hole in Hobbiton, the next he is unexpectedly running out of his front door (without his pocket handkerchief!) to join thirteen dwarves on a terribly dangerous mission. And what an adventure he has! He has narrow escapes from trolls, goblins, wolves and much deadlier creatures. Worst of all, he almost always has an empty stomach. Of course, he shares many happy times with the dwarves too; visiting the merry elves in Rivendell, flying with eagles and staying in the strange home of Beorn, the bear man. But at the end of all that, lies the Lonely Mountain and a ferocious dragon. The Hobbit has a special place in my heart and on my bookshelves. As soon as I start reading it, I am transported back to the very first time, when I was tucked up in bed and trembling with anticipation, almost as if I knew I was about to read something very important. Want to step into Middle Earth and join Bilbo on his adventures? 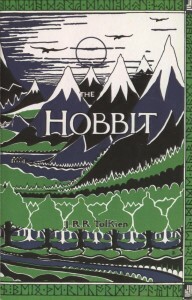 Buy The Hobbit by clicking on the picture below! Loved this wonderful tribute. I have been planning to reread the Hobbit to help tide me over between the films. (My last reread was when the LOTR films came out.) Like you, it takes me back to childhood. Plus, a rockin’ pageturner. Love the Hobbit! Thanks! I can’t remember when I last read The Hobbit but I’m not sure why I stayed away for so long! I’m tempted to start The Lord of the Rings again now but want to wait until I have a weekend free to sit down and get stuck in! You’re making me want to reread this even though I’ve never really liked The Hobbit that much haha. 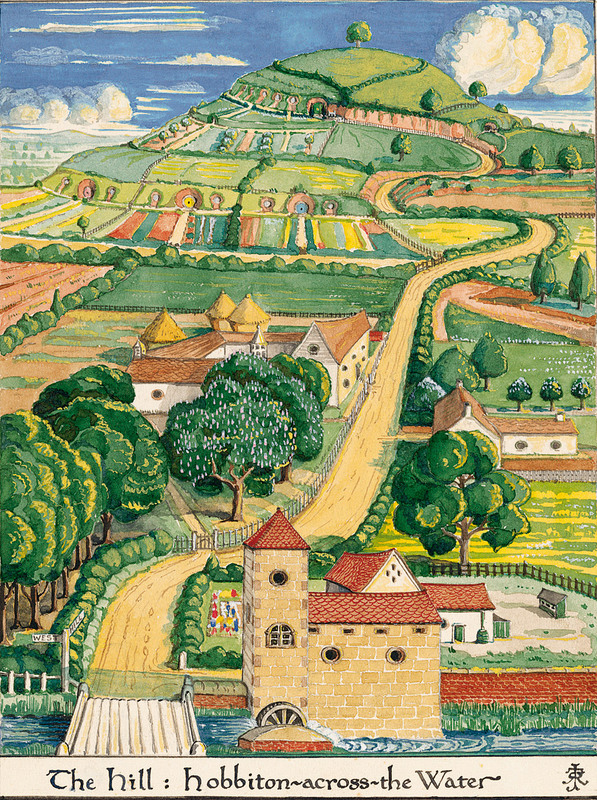 I’m obsessed with Tolkien, but I had a lot of trouble with The Hobbit. It actually took me months to read, because I just was not interested. Tempted to give it another shot! That’s a shame! I suppose if you read stuff like The Lord of the Rings first, you would probably be expecting something different from The Hobbit. 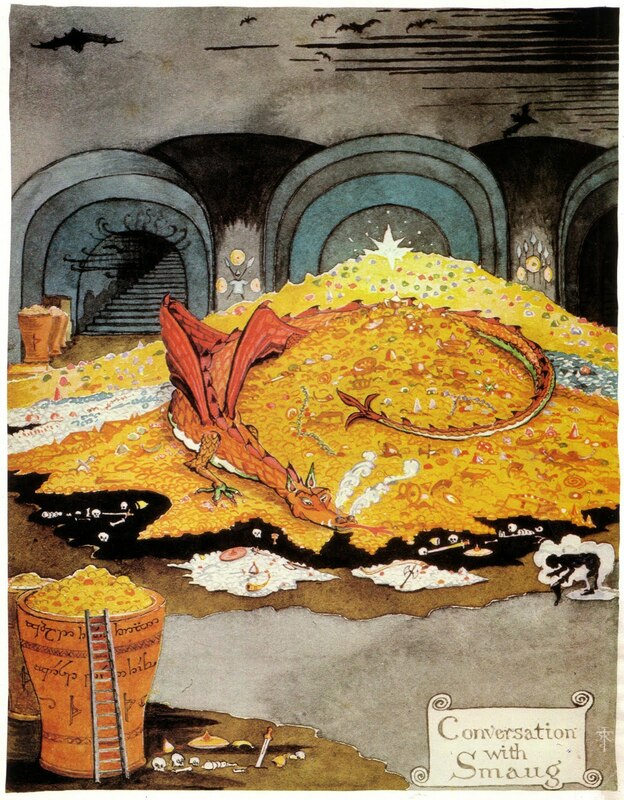 I see The Hobbit as much more of a carefree, magical book, with only a few dark moments. Whereas The Lord of the Rings and The Silmarillion are much more heavy going! I hope you enjoy The Hobbit the second time round if you do attempt it again! One day I will read it again – it is magical. Thanks for a lovely reminder! It was just the perfect book to get my book mojo back!